Susanne Braunsteffer studied with Kjellaug Tesaker at the Mozarteum Salzburg. 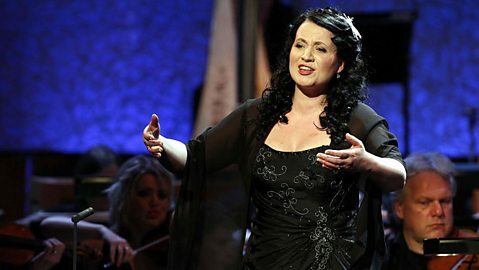 After gaining a first class Bachelor's degree in 2008 she joined the Opera Studio at the Opéra National du Rhin in Strasbourg, where she performed Contessa Le nozze di Figaro and Gretel Hänsel und Gretel, whilst continuing her Lieder and oratorio studies with Wolfgang Holzmair and Thérèse Lindquist at the Mozarteum. In 2009, Susanne joined the Accademia Teatro alla Scala in Milan, working with singers including Mirella Freni, Luciana Serra, Renato Bruson and Luigi Alva. In 2010 she began studying with Lella Cuberli in Milan, and has taken master classes with artists including Barbara Bonney, Sylvie Valayre and Helmut Deutsch. Susanne has collaborated with directors including Philippe Arlaud, Olivier Deloeuil and François de Carpentries and with conductors including Emmanuel Joel-Hornak, Marco Guidarini and Daniele Rustioni. She has performed in concert throughout Europe, including Pergolesi's Stabat Mater at the Festival MiTo in Milan. In the summer of 2010 she made her début as Micaela Carmen in Belgium. Future engagements include Mahler's Fourth Symphony, Rowan The Little Sweep and A Milliner Der Rosenkavalier, all at La Scala, and an appearance at the Puccini Festival in Lucca this summer. In her spare time, Susanne enjoys reading, cooking and long country walks. Susanne Braunsteffer from Germany sings Il est doux, il est bon from Massenet's Hérodiade.